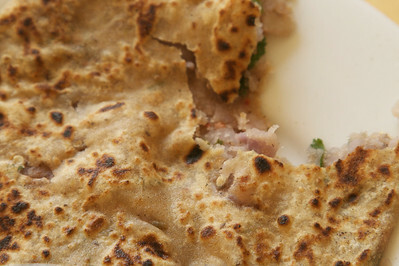 Aloo paratha – potato stuffed fried flatbread. I thought it was going to be a lifelong search but I may have found the first near perfect version. A combination of crushed and whole spices and whole grain flours supply the textures and tastes. Traditionally fried in ghee, these new age parathas are low in fat – made using a a clever application of oil with a silicone brush. To start – grow your own potatoes. 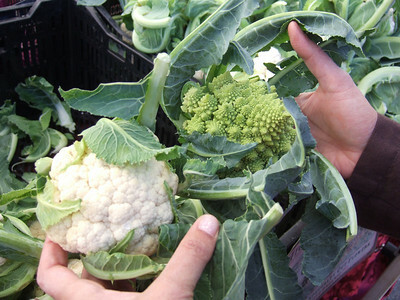 They are easy to grow and there is no comparison of the taste and smell of fresh potatoes grown in your backyard compared to the rather tastefree lumps in the grocery store. 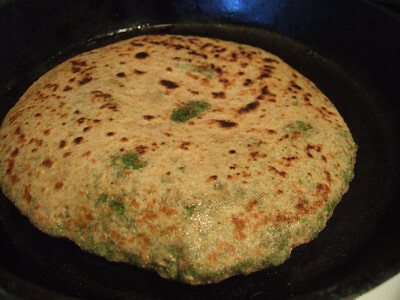 Traditional paratha is a flaky shallow fried bread the size of a tortilla – often stuffed with potatoes or ground meat and fried in clarified butter. In our modern times where the man (or woman) gets his (or her) exercise from typing on a keypad or working the remote, paratha is a slow killer – first the expanding midsection, then diabetes, the clogged arteries and finally a failed heart.